2018 marks our eleventh annual holiday gift guide, and we’re hoping this year really gets you in the spirit of giving at Christmas. Ha! Seriously, you’ll need it. Prices are creeping ever higher, especially on popular categories like whiskey, and stocks of some of the most prized products seem to be more limited than ever this year. The good news is we’ve done the heavy lifting for you, sifting through more than 1000 products which we’ve reviewed in the world of wine and spirits this year to bring you the most giftable of the lot. As always, while prices vary wildly, we’ve tried to select products representing a solid value across our most beloved booze reviews. Whether you have $20 to spend this year or $2000, you’ll find an amazing boozy gift represented in this list — and our goal is that you’ll actually be able to find it on the market without resorting to organized crime. Again, best wishes to everyone who’s helped make Drinkhacker the success it has been for the last 11 years. If you need a New Year’s resolution, here’s an easy one: Follow us on Facebook, Instagram, Twitter, or all three. And don’t forget, for more top gift ideas check out the archives and read our 2017, 2016, 2015, 2014, 2013, 2012, 2011, 2010, 2009, and 2008 holiday guides. Bourbon – Old Forester 1910 ($55) – Like Old Forester 1920 before it, this special bottling of bourbon, meant to celebrate the past, is a reminder that sometimes the old ways really were better. This isn’t just a glorious, complex whiskey, it’s one that is decidedly reasonable in price and should be readily available by the time you read this. More great picks: Either the 2018-03 or 2018-01 batches of Booker’s Bourbon ($70), Old Fitzgerald Bottled-in-Bond 9 Years Old Fall 2018 Edition (now hitting $350), Heaven’s Door Tennessee Straight Bourbon ($45, with free Bob Dylan cred), Wild Turkey Longbranch ($35), and perhaps the most decadent of them all, King of Kentucky Straight Bourbon 14 Years Old ($180). 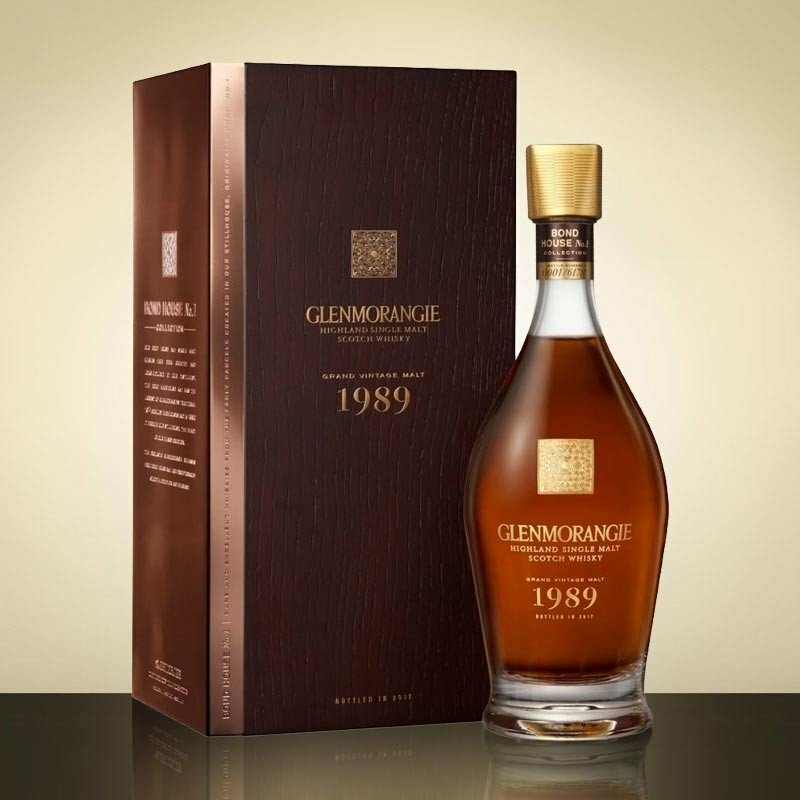 Scotch – Glenmorangie Grand Vintage Malt 1989 ($600) – If I could only drink one single malt I tried this year for the rest of my life, this would be it, though I would quickly go broke. It’s so phenomenal that I can’t even kvetch about the price (too loudly) — and the 1990 vintage (released in 2017) is even better. A close second has to be Johnnie Walker Blue Label Ghost and Rare ($290), which takes the already prized Blue Label and makes it something completely unique and, to be honest, better than anything else Walker has done, pretty much ever. More affordable gifts from Scotland can be found in J. Mossman Pink Gold Crown Blended Scotch Whisky 18 Years Old ($79), Port Charlotte 10 Years Old Heavily Peated Islay Single Malt ($70), Port Askaig Bourbon Cask 14 Years Old ($90), and Jura 18 Years Old ($120). Other Whiskey – Nikka Whisky from the Barrel ($65) – One of my favorite whiskeys of the year is this magical Japanese blend, and unlike most Japanese whisky it’s beautifully priced. Other excellent and unusual options from around the world include Green Spot Chateau Montelena Irish Whiskey ($90), Whip Saw Rye ($45), Little Book Blended Whiskey Chapter 2: “Noe Simple Task” ($100), and the oddest of the lot, Kaiyo Peated Whisky from Japan ($100). Gin – Watershed Distillery Guild Series Chamomile Flavored Gin ($28) – This is easily the most unique and engaging gin I encountered this year. The revamped Citadelle Reserve Gin ($36) is another excellent choice. Vodka – Stolichnaya Stoli Gold Edition Vodka ($28) – No need to splurge for Stoli’s Elit to get a top-shelf vodka. Also worthwhile are the unique Street Pumas Vodka ($30/1 liter) and Till American Wheat Vodka ($25). 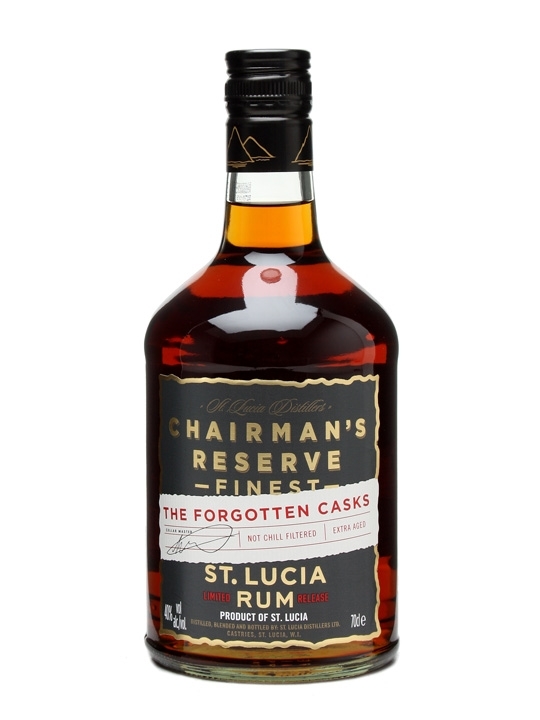 Rum – Chairman’s Reserve The Forgotten Casks Rum ($38) – Such a tough choice in a year that saw some exceptional rums arriving, but for quality plus value, this St. Lucia-based bottling tops the list. Other stellar selections include Parce Rum 12 Years Old ($62), Bumbu Rum ($33), Centenario Rum Edicion Limitada 30 Years Old ($130), and the unique Cruzan Distiller’s Collection Estate Diamond Black Strap Rum ($16). Brandy – Hine Antique Cognac XO ($160) – It was a quiet year for brandy (we have a lot more coming up soon, though), but this bottling from Hine stands as our top pick. Also solid is the unique Hennessy Master Blender’s Selection No. 2 ($90). Tequila – Volcan de Mi Tierra Anejo Cristalino ($55) – This luxe bottling is a filtered anejo, which is always a fun surprise, and it’s just one of a bumper crop of solid tequilas that hit in 2018. (Volcan’s blanco is also top-notch.) Other outstanding selections include Ayate Tequila Anejo ($100), Expresiones del Corazon Sazerac Rye Anejo 2018 ($100), UWA Tequila Reposado ($62), and, for smoke hunters, Mezcalero Special Bottling Release #3 ($130). Liqueur – Eastside Distilling Hue-Hue Coffee Rum ($13) – I knew this intense coffee-flavored spirit (technically a flavored rum, but bearing no resemblance to its base liquor) would top the liqueur list from the moment I tried it. If coffee’s not your jam, check out Five Farms Irish Cream ($30), in its unique swing-top bottle, and the fine Amaro dell’Etna ($35/1 liter), new to the U.S. this year.